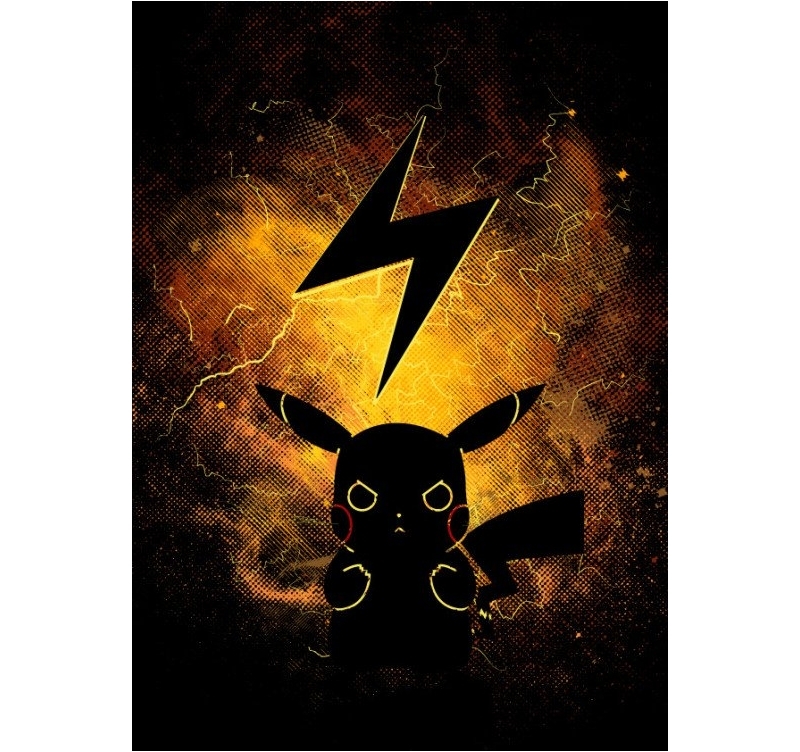 Manga metal poster of the famous lightning thrower ! The dimensions of this manga poster design are 48 x 67.5 cm. 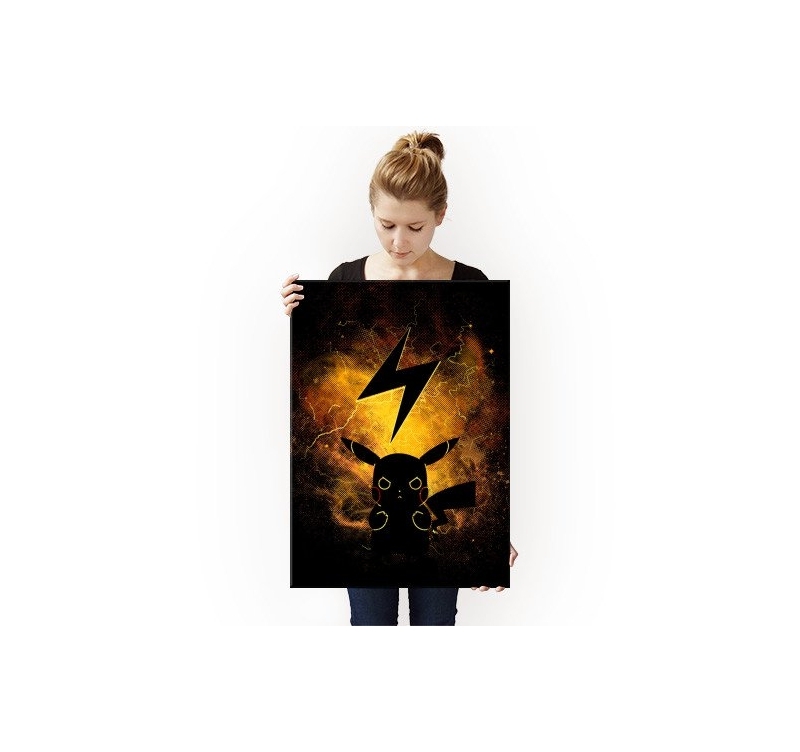 The delivery is completely free in metropolitan France and Belgium for this original metal poster. Do not annoy him or lightning could hit you! 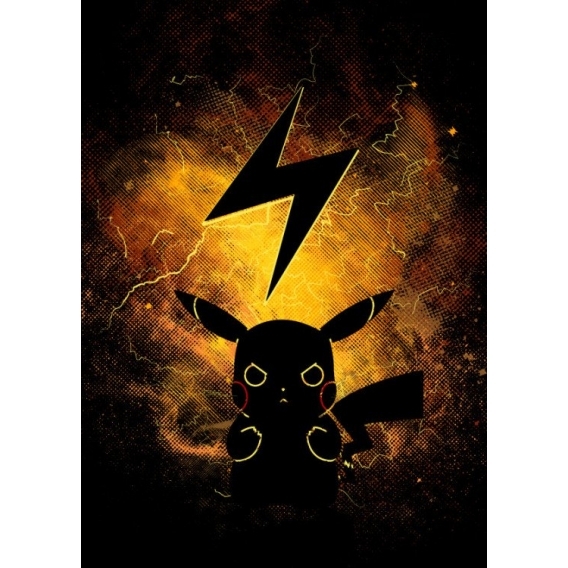 King of lightning and thunder, this metal poster will electrify your home decor in the most beautiful way. 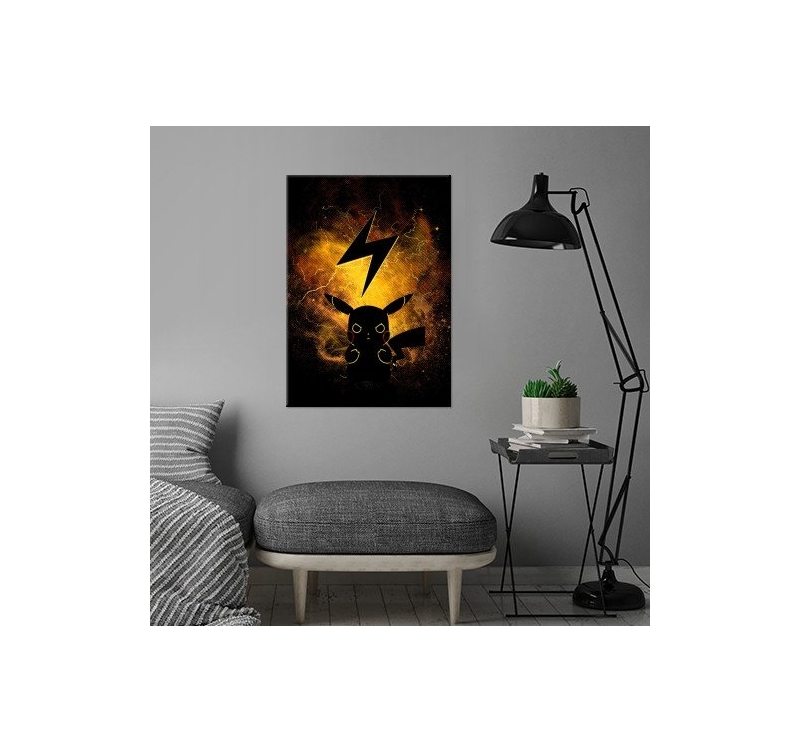 The symbol of lightning is perfectly placed above the little beast full of energy and sublimates this wall poster Manga. The yellow and orange colors are subtly mixed to create an explosion of energy that will be felt on your wall. 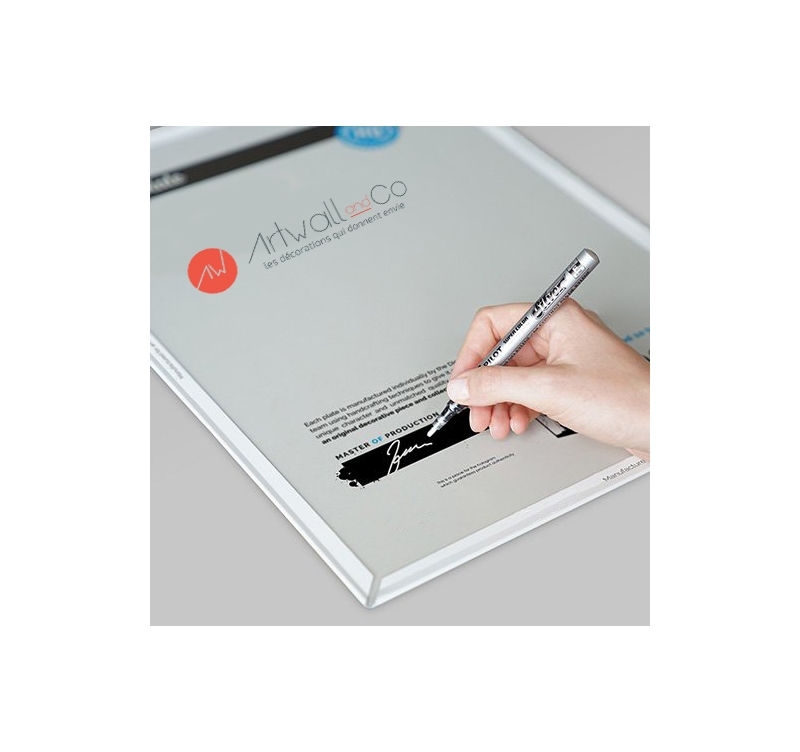 For a real collector's item, this manga metal poster contains an authentication hologram on the back, as well as the signature of our workshop manager. 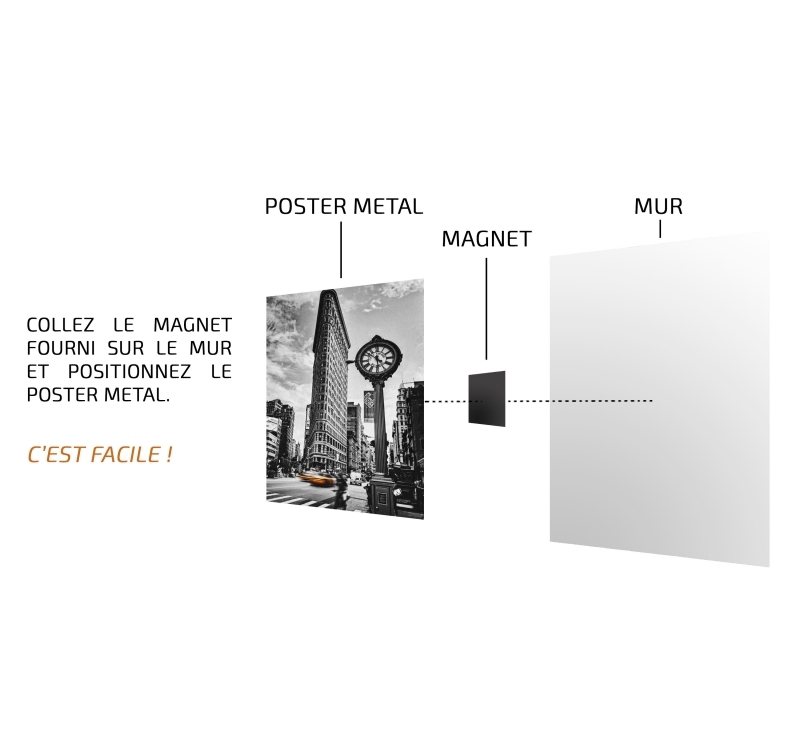 The installation of this deco poster will be very simple with our magnetic hanging system without holes and screws.